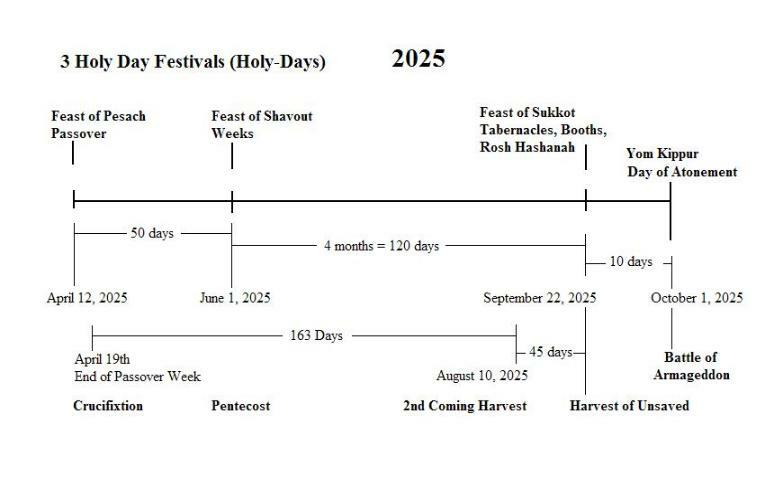 The Lords Prophetic Timing follows His dictated 3 Holy Day Harvest Festivals, of Pesach, Shavout, and Trumpets. not a demanding commandment or harsh dictate but a way of giving THANKS, knowing our very existence relies on His Grace and MERCY as our Creator and Provider. Interestingly close...... time will tell...lets count the days and our days and use them wisely..